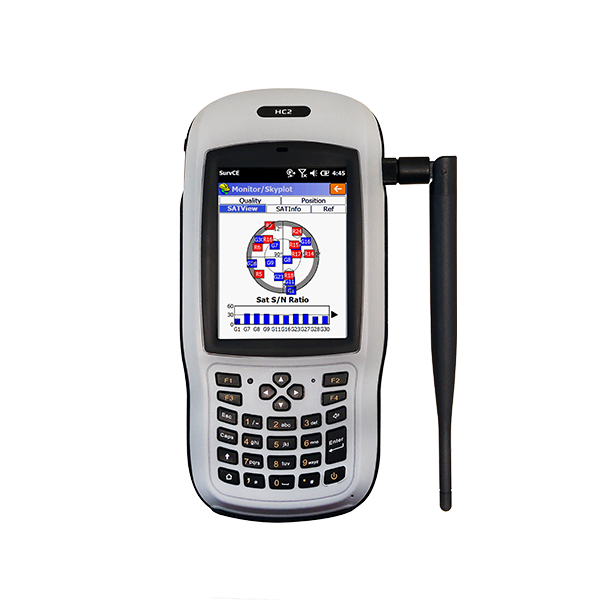 Building on the success of the Champion HC1, the HC2 comes with an external long range Bluetooth antenna for greater range and internal L1 base and rover capability. The long range Bluetooth radios allow two HC2's to work as a base and rover pair to 3000' and beyond using external GNSS antennas. With the proper network correction, a single HC2 will operate as a network rover*! Static sessions are even supported. The long range Bluetooth radio in the HC2 is capable of operating the GeoMax Zoom90 robot beyond 3000'. Champion, Champion HC2 are trademarks of Champion Instruments, LLC.